Based in Manchester, New Hampshire, Clear Choice Home Improvements is a family-owned remodeling company that has served homeowners throughout New England since 2004. We offer a wide array of services, including window, roofing, siding, and door replacement as well as gutter installation and bathroom remodeling, and we take pride in carefully curating the finest products that will offer the best performance for New England homes. We ensure our customers receive outstanding value for their investment by providing personalized service in addition to exceptional installations from our team of trained and experienced remodeling experts. "I love the look and how it is now matching with our front yard. Very happy with the new siding." "I love the roof and the green metal shingles look great." "My New windows look great. It changes the whole appearance of my home. " "I am happy with my windows. I can also hear less noise coming from the outside." "I love the new windows and how it will be easier to clean them and open." "A much needed step up from our old windows and the new ones look great!" "We love our new windows. Clear Choice Home Improvements did an excellent job." "The blue is a little brighter than expected but we love the color and the look of the new roof." "I love my new windows, no more cracks and I can see out my kitchen window again." "I love my new windows, they look so clean and I'm excited for the winter now because I can already feel a difference in the house compared to outside. " "Clear Choice did a great job, I love my new roof." "We love our new windows. They did an excellent job taking our measurements and helping us choose the windows." "We love our new windows the installers did a great job and worked hard." "I was very pleased with how hard they worked on my roof, from the morning to late afternoon they were there working." "I am very pleased with my new Siding. They did an amazing job and I feel like i have a new home." "My old roof had a few leaks in it, now with my new roof I no longer have any leaks. Clear Choice did and excellent job installing my roof." 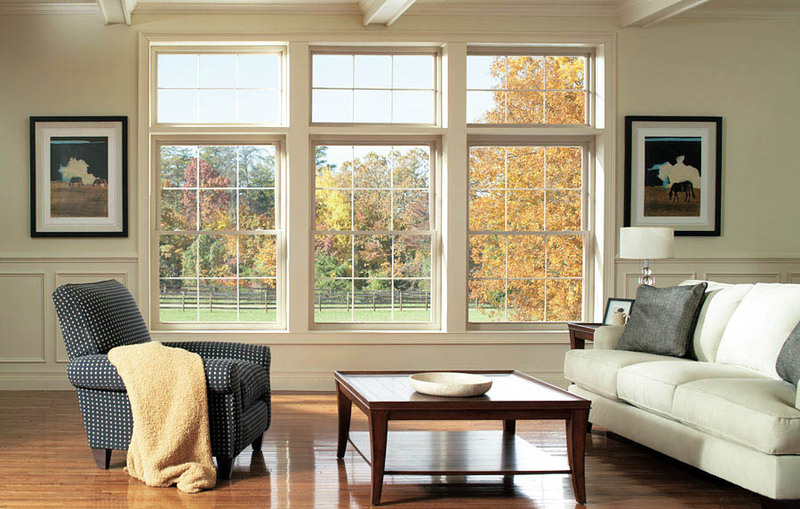 "Clear Choice Home Improvements did an amazing job installing our windows. It took a little bit for my order to come in but I was happy with how fast Larry got everything up when he installed our windows." "I love the look and feel of my new shower, Clear Choice did and amazing job installing it. The shower is very solid and the doors slide very smoothly." "I love my new roof and am happy knowing I will no longer have to worry about leaks happening." "I love my new windows and am excited I wont be losing heat in the winter. " "We are Very Happy with the look and feel of our roof. Clear Choice did an Excellent job and helped us match the color of our shutters." "We have always been happy with Clear Choice Since they installed our windows. They did our siding and gutters as well and it all came out amazing. we were able to finally do our roof now and Clear Choice did an excellent job." "They did a great job with my siding and windows. I am happy that I will no longer have to paint my house and I will be warm and saving money on electric this winter." "The windows look great and the process was fast." "Very good company, willing to work with customers. Above and beyond help. Though I believe the gutters were too expensive." "I was quite impressed with the speed of the installation, and am very happy with my new windows." "We just had our roof replaced, could not have asked for better service. The salesman was thorough, explaining the services, the Project Manager, Brian, was very professional, the crew that came to install the roof was great -- every possible step was done not to damage shrubbery, all roof debris was removed, the team is a power house of efficiency, they were on time, courteous and hard working. We appreciate the service provided by Clear Choice Home Improvements and do not hesitate to recommend them. Their prices are reasonable." "Contracted for a start date. Weather turned cold - stored our windows for several months until weather warmed." "You all went out of your way to get this old house more weather tight." "We had our roof replaced, they did a fantastic job, couldn't be happier with the new roof. It looks awesome." "Professional and friendly! Very easy to work with, from the salesperson to the the installers. Michelle coordinated our install from beginning to end to ensure complete satisfaction. She was timely with callbacks and went the extra mile to rectify a minor snaffoo during installation. The installation crew was knowledgeable, thorough and super tidy! They paid attention to details (like caulking) and left the space spotless." "They were very fast, accurate and professional"
"Lots of missed appointments. The guy who measured the windows was a month late and made two mistakes." "Very pleased with the service level of sales and support staff. Chad and Michelle were a pleasure to work with. The price was competitive; and as this is our "forever home," we are looking forward to building a relationship with company for future renovation projects. Compliments have started coming in and referrals have gone out! Great Job." "The two workers were profession diligent craftsmen. Very efficient, thoughtful and equipped to do all the work!" "Clear Choice has always done excellent work. Our new roof was completed in 5 hours!! The workers were very fast and did a great job! It looks beautiful! Clear Choice also put up gutters for us a few years back and did a great job. While replacing the roof the workers cleaned all the gutters! If I had any complaints it was that the company that dropped off the dumpster, "HiHo." left it here for over a week after the job was done.."
"The workers did an excellent job. Crew was very informative, and professional removing the old windows and installing the new ones." "Very professional, any issues were handled and corrected promptly. we are happy with the results and how we were treated, we recommend Clear Choice to all our friends and neighbors." "deb did a great job getting the roof we wanted"
"The guy who put up the gutters was very personable and took the time do the job correctly the first time." "I was most satisfied with the gentleman that did the installation. He was very courteous, and everything was cleaned up. We don't always get that. He was also on time. I wish I could put 10! Erik, the installer from Clear Choice Home Improvement, was very professional, and he did his job without stopping for any breaks. I've had bad experiences before, and I was totally satisfied with his work and his ethic." "I would like to recognize the installer, Erik, for his exceptional service. I was very surprised, I expected a crew of two to five people, and Erik showed up by himself. You could tell this wasn't his first job, he worked well and he never got in the way. You could tell he did everything the way it was supposed to be done. I was most satisfied in terms of everything. From the salesman, to the guy that did the work, to the girls I talked to on the phone, everybody was fantastic. I'm sure I could have done it a lot cheaper, but I realize I'm paying extra for the quality and professionalism of a real company. I did pay extra for the things I rated 4's in this survey and I'm perfectly ok with that, provided they follow through with the lifetime warranty and stay true to that. From the salesman, to the guy that did the work, to the girls I talked to on the phone, everybody was fantastic at Clear Choice Home Improvement. I'm sure I could have done it cheaper, but I realize I'm paying extra for the quality and professionalism of a real company. I did pay extra for the things I rated 4's in this survey and I'm perfectly ok with that, provided they follow through with the lifetime warranty and stay true to that." "The installation crew members were personable, knowledgeable, and answered all of my questions. I will definitely recommend Clear Choice Home Improvement to a friend. They were excellent." "Overall it was a good experience. The company is very professional and the workmanship is great. I really liked the finished product. We looked at a lot of similar products and most are not very attractive. But they really did a good job"
"he promptness and the short amount of time it took to complete the job once it was started. They also kept everything very clean and tidy, and I was grateful for that." "The work does was great. He was knowledgeable, professional, neat and pleasant." "Installer was truly professional. Performed with very high knowledge and experience!" "We were most satisfied with Clear Choice Home Improvement because they were very prompt and they cleaned up after themselves which was very good. The job ended up being four to five days instead of one because of the rain." "Very much so. When I came home from work, they were still working, They were very polite. They cleaned up well and took care of my property well. I really appreciated the effort of the installers. When I came home from work, they were still working, They were very polite. They cleaned up well and took care of my property well." "The salesman who presented in our home was fantastic, very familiar with the product and able to communicate effectively . Very responsive to our questions and our requests to push the installation back until it was a time better suited to our needs. The most impressive was the clarity with which he was able to demonstrate the value of this product, making it very clear the differences between the cheapest roofers we could get and the value of Clear Choice Home Improvement. The roofers were very efficient, they worked quickly and skillfully replacing the rotten sections of roofing and taking off the shingles from a previous three roofings." "The timeliness in how quickly they did the job, and also everything looks great"
"I think that they did a good job"
"The quality of the roof is good." "I was most satisfied with Clear Choice Home Improvement in the staff and the presentation. Also the workers were on site and checking with me to make sure I was happy with what was going on. The sales representative of Clear Choice Home Improvement was very professional he walked through the options available for both my needs and my budget. The work done was both professional and efficient and the team worked with me to make sure I was receiving what I expected the project to be." "They did my roof and did a great job. They also put on new gutters and added the gutter covers. The roof is the Owens Corning product and it looks great. They were professional and communicated with us throughout the entire process. Installation was clean and I would recommend them to friends." "I love the new roof. Installers were professional and fast. I was surprised to see everything cleaned up and done by mid afternoon." "First of all, the roof looks great we have had comments from neighbors who saw it being done. I'm relieved that we had it done because during the teardown there were several boards that showed signs of water damage, and you could tell the ice and rain protection wasn't used on the previous roof job. I was impressed at how they tarped the entire house front and back for protection of the house and easy clean up. Brian was there on site and available to answer my questions as the process was happening and in the end I really feel I got what I paid for. Overall Stacey and I are extremely satisfied with our decision to go with Clear Choice." "Clear Choice Home Improvements did an amazing job on my roof, they were very fast hard workers and I love my new roof." "Our new roof looks great, I couldn't decide which metal roof to go with so many colors and types to choose from. Clear Choice helped me pick the best fit and I couldn't be happier with my new roof. " "I just wanted to say thank you! All ended well... When the guys showed up in the morning, they were all so pleasant, what a treat! I watched them, they were so organized. They just made it happen. It was a team, for sure. And Brian was on top of everything. he was there to the end. And the cleanup was amazing. And the rain deverter was put on. Wow! You have always been so kind + respectful on the phone Debbie. Thank you. I thank all of you for your hard work, it was amazing. I just want you to know how much I love my Roof. I might have Thanksgiving on it." "I was most satisfied that they got it all done in one day." "I was most satisfied with the professionalism and they performed as promised." "I was most satisfied with the completion of the job." "The workmanship of the contractors that completed the work was very good. They were extremely polite and hard working." "I was most satisfied with the finishing touches." "My Name is Judy and I am from White River Junction in Vermont. Clear Choice revamped Just about everything at my house. They put all new siding on, put new gutters in and outfitted my house with new windows and sliding glass doors. When the last of the job was finished I had a huge smile on my face. I am a satisfied customer. In the Spring I took my usual walk around to check for any winter damage. I noted some holes in my siding and then saw that a portion of the siding on one of my dormers had bowed out quite a bit and wasps had built a nest behind it. I thought that this would be the year that I had to bite the bullet and call a repair man to fix the bulging siding. That was the plan until I was shopping at BJs one afternoon and a representative from Clear Choice was there offering free estimates for siding, windows, roofs, and gutters. I signed up and within 2 days someone from Clear Choice was at my house doing estimates. At first I was only going to have the siding done, but when I was told about the quality of the windows and gutters, I included them also. My house was built in 1975 and the windows were letting quite a bit of cold and drought in. my heating bill was showing I was not at all weatherproofed. I also was extremely tired of cleaning my gutters out all the time. My roof was fairly new so I didn’t include that. I was happy with the estimate and signed for the job to be done. I gave them a must be done by date of October 1st. In New England it can get cold in the Fall and wanted it completed before the snows came. They met my deadline. It was fascinating to watch the progress. When the old siding was torn off we found a plethora of bug nests and webbing which I was told by the foreman was the worst they had seen. Underneath was also the original wood siding and no insulation. They also found an area of my house that was rotting under the siding. They replaced that whole area before putting new siding on at no extra cost to me. It took the crew three bug bombs just on that dormer area before they could work up there. So many wasps. They certainly should have been given hazard pay for that. The new windows went in and I have been amazed at the clear view I now have compared to what my old windows allowed me to see. I am so happy with the UV protection that will save my furniture and rugs from fading. It will also keep the summer heat from baking my interior. I really have noticed a difference in the number of times my furnace turns on and also in the amount of dollars spent on heating. The washing of my windows is no longer the job I most dread. These windows are super easy to clean inside and out. I love my new sliding doors, they slide so smoothly and the UV protection is wonderful. I am in heaven knowing that I will never again have to balance on a tall ladder to clean out my gutters. That was just an accident waiting to happen and I hate heights. The crews that worked on my house were just great. They were respectful of my comings and goings, cleaned up at the end of every day they worked, listened to all of my comments, answered all of my questions and were all very friendly and personable. The end result is a house that I am again proud to call home. It was a job very well done by Clear Choice. I am thankful that I signed up for the free estimates that day at BJs." "This is the 4th project that was done for us and we have always been happy with the results and how we were treated, we recommend Clear Choice to all our friends and neighbors." "We love our new siding, windows, and front door. The installers did a great job, they were fast hard workers." "Our home really needed new siding and windows. Clear choice Home Improvements did a great job. It's like I'm pulling into a new house when I drive up the driveway." "We had vinyl siding installed on our house and a new slider installed. We are new to Massachusetts and have had very bad experiences with contractors that we hired to do other work. (Recommendations from Home Advisor and Thumbtack). We were a little skeptical when approached by a representative from Clear Choice but decided that we would go for it. We were not disappointed this time. We were constantly updated as to the status of the job. The work was done professionally. The crew that did the siding were extremely professional, knew what they were doing and did the job right. The project manager explained to us why things were done the way they were and wanted us to be completely satisfied with the job. I would definitely recommend Clear Choice to anyone that needs home improvements done. I wish we had known about them sooner. We are very satisfied with the job." "The installer did a remarkable job. He was very thoroguh." "I was pleased with everything that Clear Choice Home Improvement company did." "I think I would give a shout out to the lady (Naomi) in the service office who answered all of my questions and responded to my calls very quickly and checked up on everything. The two installers were also very good, no dilly dally, no breaks, went right to work. The way they took the time to perfectly fit the windows into place. A lot of friends have come by the house and they are impressed with how the new framing looks like it fits right in with everything, as if it was meant to be there and not a replacement window." "I was very satisfied with the end product and the quality of the product." "The young man that sold us the windows was great. He was not pushy. He was the most congenial and easy to work salesman we have worked with with." "It was very well done." "The contractor that did the windows gave me clear communication as far as what his plan was and what I could expect"
"In 2013 we were in desperate need for a new roof. We called around for quotes and decided to go with Clear Choice. The quality of roofing is what sold us. The guys that came to replace the roof were quick and cleaned up everything. I never saw any nails or roofing materials anywhere. The quality of work was outstanding and we were very happy and have a lot of people comment on the roof. Today we are back with Clear Choice odering new windows. I know their work will be outstanding." "I am Pretty happy with the whole process in installing the basement windows. I instantly noticed a difference with the basement holding the temperature from the windows. I didn’t really like the look of the unfinished pine trim so I painted it white. The communication with the installers was great, the weather was bad at the time so they let us know and went around our schedule with no issues when they needed to install. They were also very polite and great about knowing when they will be done installing our windows. " "I am very pleased with my windows, quality look and feel. The installation went smoothly, the installers were very professional and did a great job cleaning up." "I am very happy with my new windows Clear Choice installed, they are easy to remove and clean, and not having to crank them open anymore is nice. Jeff was very professional and answered any questions I had." "We are very happy with our new windows, they keep the cool in during the summer and the heat in during the winter. We also love the improved noise reduction the house has, we live by the airport and the planes flying over the house was very loud and the insulated windows actually dampen all the outside noises a bit. " "We are very happy with our windows. The installers were very polite and professional and always answered any of my questions and the installation was seamless." "We are very happy with our windows. The noise reduction they have is a great addition, and we are excited to see how our electric bill will be this upcoming winter. We love the inside light oak look against our dark wood frames." "I love the new windows, they look great and will keep my home insulated in the winter. Clear Choice Home Improvements did an excellent job." "My windows look great! The installers were fast and did a great job." "My new windows are great. The old windows were drafty and pretty much garbage. The installers did a great job putting them in." "Clear Choice did an amazing Job installing our windows. Lary was very professional and did an excellent job putting in our new windows." "We love our new windows. These are a big upgrade from our original to home windows." "I was quite impressed with the speed of the installation, the installers were very polite and explained to me all about the new windows. I am very happy with my new windows." "We love our windows and went with Clear Choice previously for our roof. They did an excellent job." "I got my windows done by clear choice and I was very impressed with the length of time it took to schedule and install my windows. Everyone was great especially the installers." "My windows are very good insulated and very easy to clean. What really was impressive was how my two double hung window was turned to a beautiful bay window. Installers were great." "The installers moved quickly and did a fine job." Our roofing systems are crafted from high-quality materials to provide impressive protection and enhanced aesthetic appeal. Choose from top-of-the-line asphalt shingles and metal panels to suit your unique preferences and budget. Rejuvenate your bathroom with a custom remodel in as little as one day. We install premium bath products from BCI that last a lifetime without losing their lustrous shine while requiring minimal maintenance. 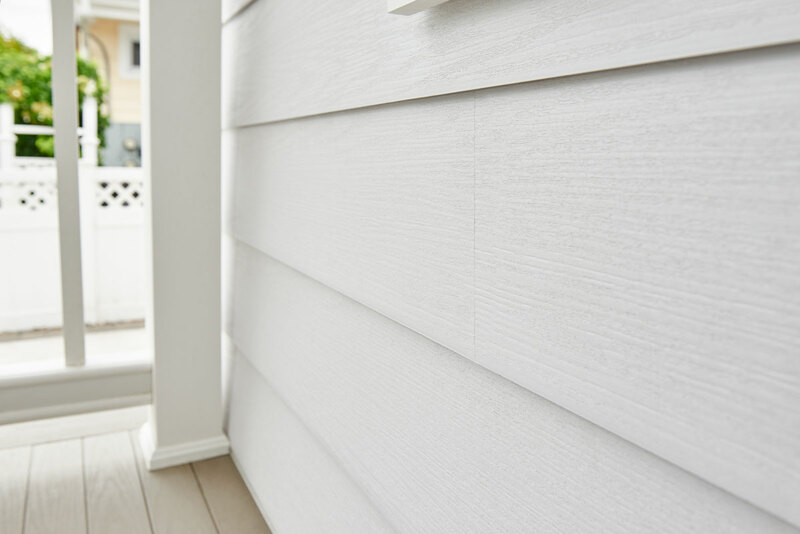 Our siding systems provides incredible protection for home’s while enhancing visual appeal. Available in vinyl and composite materials, the systems feature exceptionally insulated foam backing to keep homes cool in the summer and warm in the winter. We install gutter systems that are exceptionally durable to prevent breaks, sagging, and buckling. With an innovative watertight matting system, our gutters will provide the ultimate protection against common moisture damage that can occur when water isn’t properly channeled away from the home, such as mold and rot. Make a great first impression at your home with our beautiful entry doors. Crafted from durable and insulated fiberglass or steel, our custom front doors will enhance your home’s security and energy efficiency. Add further protection with a new storm door. 15% Off All Tub & Shower Systems! Choosing Clear Choice Home Improvements for your home remodeling project ensures you will receive the personalized service you deserve. We will build your entire project around your unique needs, preferences, and budget, and will provide you with industry-leading products that have best-in-class features and generous warranties. Our primary focus is to deliver an exceptional remodeling experience to every customer we serve, and our commitment to doing so has earned our company the HomeAdvisor Seal of Approval as well as the trust of countless homeowners. © 2019 Clear Choice Home Improvements. ALL RIGHTS RESERVED.